A shortage of skilled and qualified workers is one of the biggest challenges facing custom manufacturers today. In my position with Genius Solutions I get to work with a lot of growing manufacturing companies and one of the things they keep telling me is that they have a lot of difficulty finding and hiring qualified people to fill their open positions. Growth is outpacing available labor, and there just aren’t enough trained and experienced candidates out there to meet the needs of manufacturers. The labor shortage in the manufacturing industry is real — and unfortunately, it will only continue to grow for the foreseeable future. Deloitte estimates that almost a quarter of skilled manufacturing workers will retire over the next decade. That means manufacturers will need to rehire 25% of their workforce just to replace retirees, let alone the number of new workers they need to keep up with the rapid growth in the industry. Add to that the recent trend of reshoring, and manufacturing jobs returning from overseas to the United States and Canada. 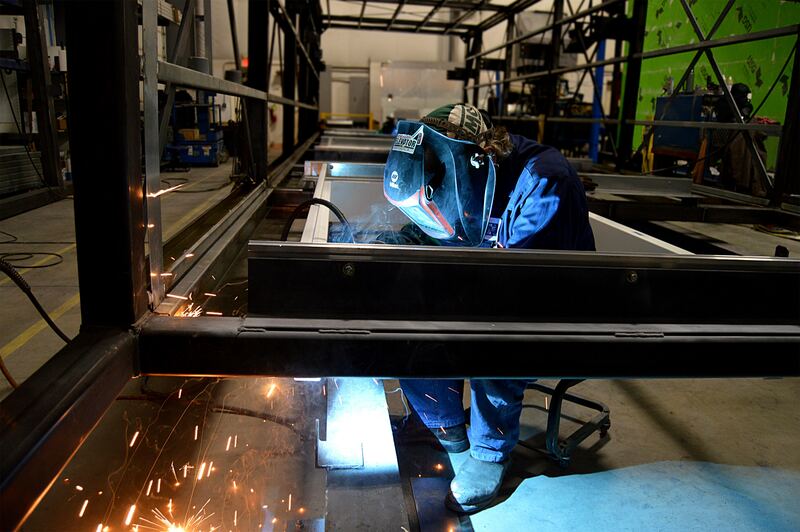 It’s great for the industry to see these jobs come back home, but it is another added pressure on manufacturers to grow faster — and to find more qualified candidates. Of course, the rapid growth in custom manufacturing is, in many ways, a good problem to have. But it is a problem nonetheless. Custom manufacturers need to find ways to deal with a labor shortage, and essentially do more with less. One way manufacturers can help deal with a labor shortage is by using an ERP — and specifically harnessing and leveraging the data that an ERP can provide. When I go out to visit plants and help them to implement a new ERP system, it’s a time consuming and disruptive process, one that takes a lot of time and energy from management, team leaders, and workers. (My colleague Jean Magny has written about this problem here and here). But what I see that is even more disturbing and disruptive for these manufacturers is not having the right amount of resources, which is often the case for small and medium sized businesses. Most of the companies we work with are growing, thus the need for an ERP system, but the reality is they don’t have the breadth and depth to have people waiting on the shelf, ready to step into whatever function that’s needed as the are growing. If your company is growing you need to bring new people in to take on new roles and responsibilities. But, because of the labor shortage, it’s taking longer and longer to find people with the skills that you need who are able to step into the role that you have at the time that you need it. Given the complexity required for many manufacturing positions – for instance, highly specialized industrial engineers with experience designing for niche processes – the nature of many of the vacant positions limits the number of potential qualified candidates. One way to mitigate this problem is to plan ahead, so you can anticipate your needs and schedule your resources, not just machine-time and raw materials, but also your human resources. But to plan ahead you need to have access to the data. This is where having the right ERP can help you. ERPs provide you with real-time data from across your organization, that allows you to do forecasting and planning. With the right ERP you can leverage your data, and have the visibility to see what’s needed in terms of resources, including your workforce. You will be able to see what is coming in for jobs, and compare this to historical data to, for example, determine the engineering resources required to take on new jobs and grow your business. Leveraging data will essentially let you do more with less. Having real time access to how your plant is operating, what is running efficiently and where there are bottlenecks, how your employees are performing, and if there are times when your workforce is idle and waiting for a hold-up to clear. A good ERP can help you employ the right people, assign the right priorities, produce the right amount of business, at the right time. You can make sure people are working on the next priority, the real priority, to get jobs completed and out the door. An ERP that fits your business can help you ensure that you are working at 100% throughput instead of 70% or less, based on your available resources. 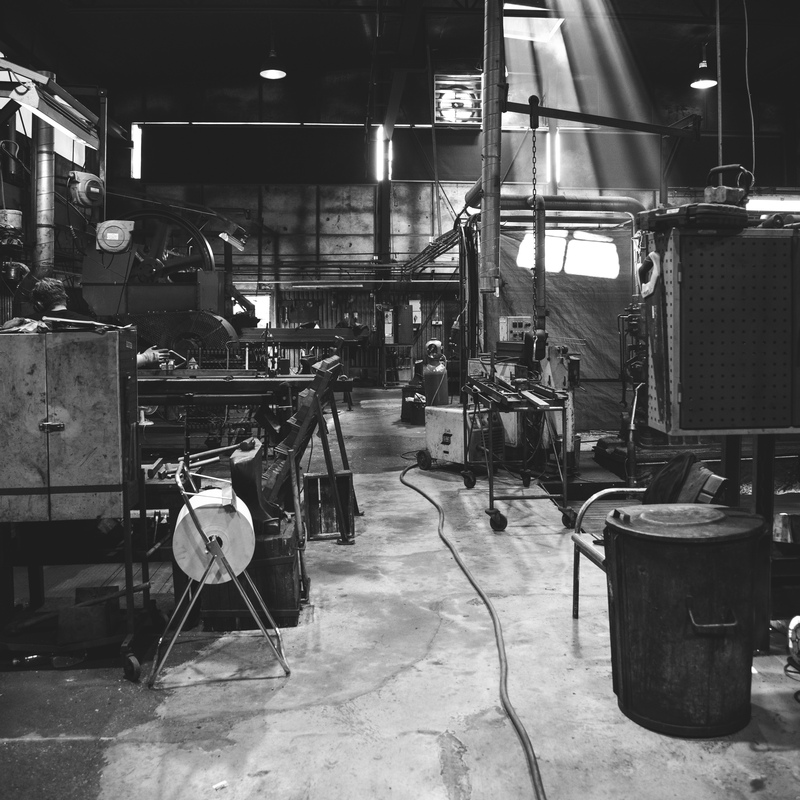 By leveraging your data, and having more visibility on what is going on in your shop, you will be able to set up KPIs that will help you align your manufacturing processes, and identify and resolve problems before they get out of hand. Just as technology is presenting a significant challenge to manufacturers in terms of requiring more high-skilled workers that can build more complex and customized products, it is also an essential part of the solution. Digital technologies like ERP systems can provide manufacturers with the information and data they need to create more efficient workplaces, and deal with the shortage of skilled workers. With all the buzzwords such as Kaizen, Lean and Six Sigma, it seems manufacturers may have forgotten to listen to the customer and market. Surprisingly, but in full compliance of these dogmas, manufacturers created surplus products that rusted in dealer parking lots.